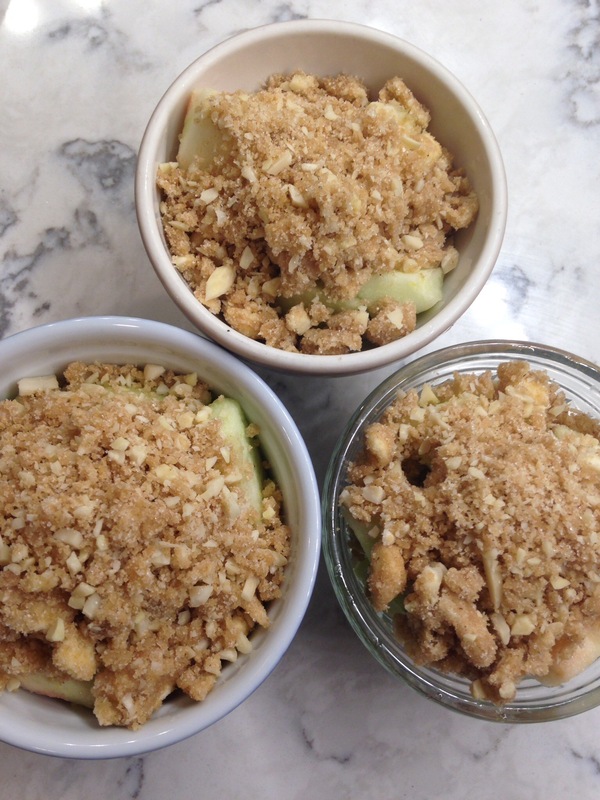 This fruit crisp is a lighter substitute for apple pie. It has less flour, sugar and fat than pie! I made these crisps in individual ramekins. About 12 per recipe. Cut the recipe in 1/4 if you only want to make a few little ones! Preheat your oven to 375 degrees F or 350 if using a glass or ceramic baking pan. 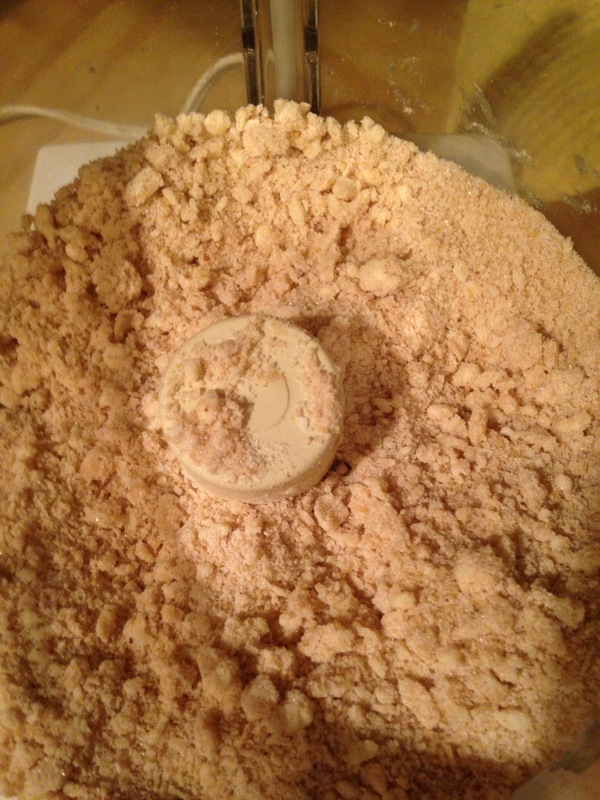 Combine dry ingredients in food processor or bowl. Add butter and pulse for 3- four second bursts so it looks like cornmeal. Add nuts and pulse again for 5-one second bursts till it looks like wet sand. Do not over mix. Keep in frig while preparing apples. If mixing by hand add butter and pinch butter till it looks like wet sand. Then mix in finely chopped nuts. 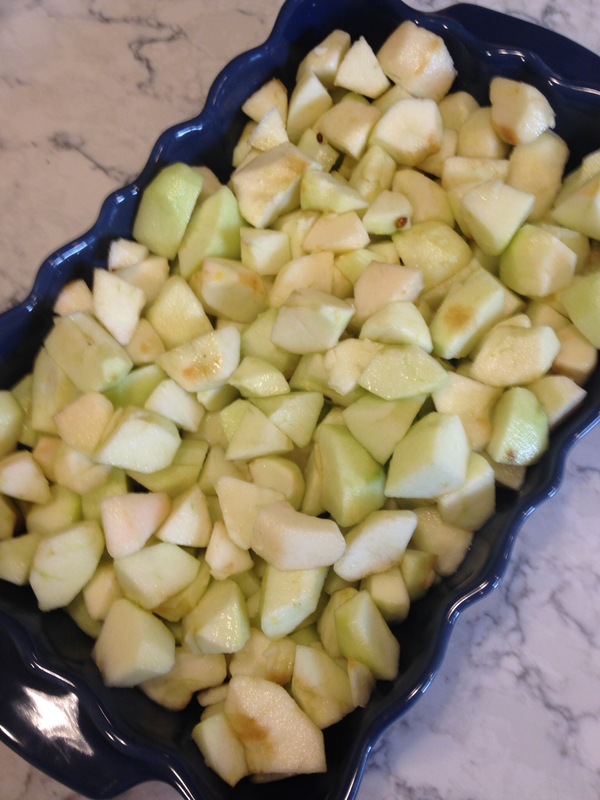 This is what the topping looks like before adding the nuts. Combine above ingredients in a large bowl. Pour evenly into a 9×13 inch baking pan. Sprinkle topping evenly over apples. Place crisp in middle of oven. 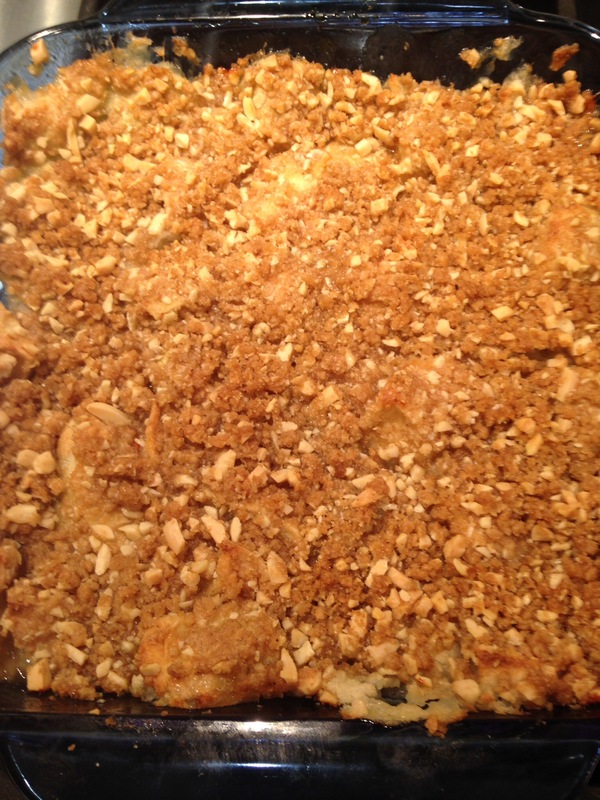 Bake 40 minutes or until fruit bubbles and the topping is light brown. Other fruit can be used. If using plums, mix 2 Tablespoons quick cooking tapioca with the plums. If you want a darker crust, use the broiler for a few minutes. 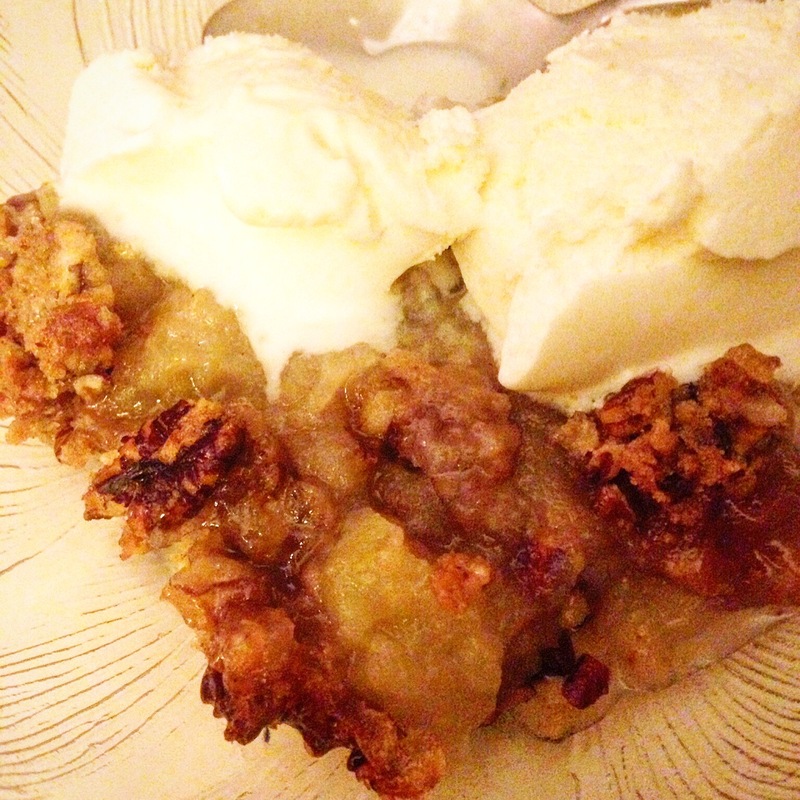 Posted in Cakes and desserts and tagged applepielike, apples, crisp, lighter apple pie. Bookmark the permalink. Looks totally delicious!! I bet it smells amazing too. It looks very delicious. Thank you for sharing.